It's time to fulfill my promise to write about Playback Designs' Sonoma Syrah music server and Sonoma Merlot DAC. 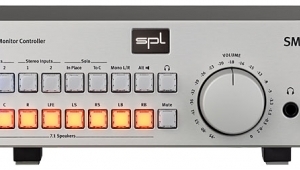 It all began when I asked Playback's founder and CEO, engineer Andreas Koch, when he plans to produce a multichannel digital-to-analog convertera question I've put to so many other manufacturers. 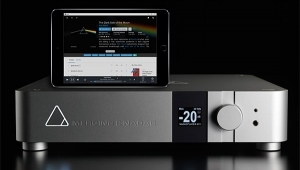 He said that he already had a multichannel system on the drawing board, and not just a DAC. 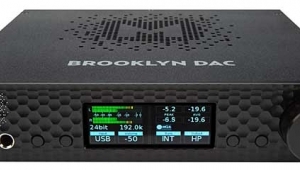 Our e-mail exchange culminated in his announcement of the Playback Designs USB-XIII Digital Interface, to be used between a USB source component and as many as three DACs via PLink, Playback's proprietary fiber-optic connection. 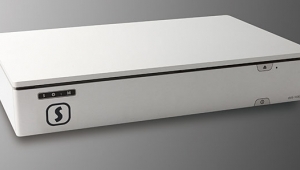 The USB-XIII acts as the master clock for all the DACs, to ensure precise synchronization of their outputs. 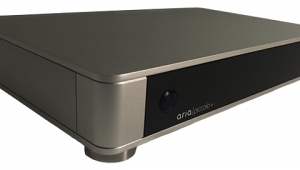 The only similar approach is Mytek HiFi's, which relies on the ability of recent Mac operating systems to create a virtual multichannel USB output from three individual USB DACs. 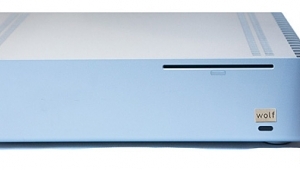 However, the Mytek requires separate clock links between the DACs, and is restricted to Mac hardware. 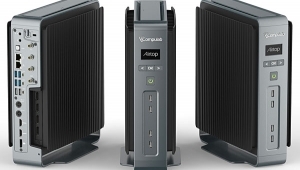 Most dedicated serversie, those not based on a general-purpose computer with a powerful CPU and running Windows, Mac, or Linuxare designed to provide only two-channel sound. 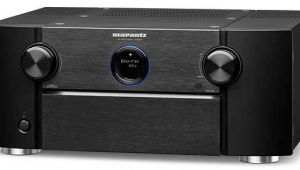 My experience with them has been spotty; they often struggle with multichannel signals at higher resolutions and bit rates, to say nothing of the added burden of DSP and room equalization. 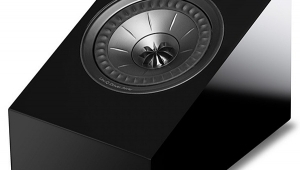 Andreas Koch assured me that the Syrah was up to the task, so I asked him for a USB-XIII ($2500) and three Sonoma Merlot DACs ($6500 each); he also sent along a Sonoma Syrah music server ($6500, footnote 1). The series name Sonoma conjures thoughts of Sony and Philips's original Super Audio Compact Disc project: Koch started and managed the development of the original 8-channel DSD recording console, dubbed the Sonoma workstationperhaps accounting for the name of this new product series. In addition, Playback Designs (footnote 2) has a relationship with Carhartt Vineyards in Los Olivos, CA, and used to give buyers a bottle of their wine with each product in the series. That perk didn't apply to reviewersnevertheless, I was overwhelmed at the delivery of four very large cartons, each containing a heavy wooden wine box secured with wood screws, and I struggled a bit to wrangle and open them. But the contents, like fine wines, had arrived undamaged and ready to enjoy. 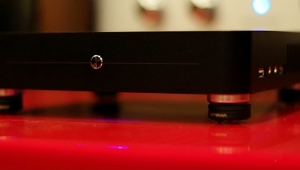 The Sonoma Merlot D/A Converter and Headphone Amp is deceptively simple in appearance and operation. It measures 12" wide by 3.25" high by 9" deep and weighs 8 lbs. A one-piece casting comprises faceplate and top plate, and the large central display on the front is controlled by two pushbuttons at upper right, where the faceplate bends to become the top. 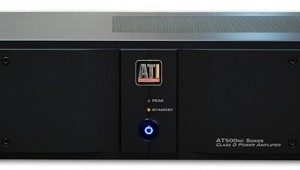 One button selects the input source (AES, S/PDIF, PLink, USB), and the other displays the current software version or the last three digits of the unit's serial number. If no button is pressed, the sample rate is displayed. On the faceplate proper, at right, are a headphone jack and headphone volume control. The Merlot's rear panel has AES and coax input connections, PLink input and output jacks, a sub-D connector marked Aux for future expansion, left and right outputs for S/PDIF (RCA) and AES/EBU (XLR), and an AC inlet and power switch. 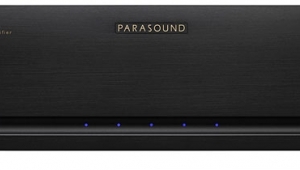 The USB and PLink inputs can handle signals of resolutions up to 24-bit/384kHz PCM and DSD256; the AES and S/PDIF inputs are limited to 24/192 and DSD64. 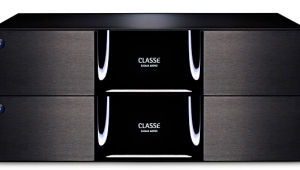 The Sonoma Syrah music server is the same size as, 2.5 lbs lighter than, and looks similar to the Merlot. There's no displayonly three status LEDs in the front panel's upper right corner, and a single On/Off pushbutton on the edge above them. The left LED indicates that power is on, while the right is reserved for future use. The central LED lights up every time the Syrah's CPU accesses the internal drive, and is thus constantly on after power-on and during boot-up, then flickers continuously as the Syrah loads files into its library and/or reads them. When it's mostly dark, the Syrah is ready for use. All other user interaction is via a tablet (iPad or Android). On the rear panel are two USB-A jacks for input/output, an RJ45 jack for a LAN connection, and an AC inlet and power switch. The bridge between the Syrah and Merlot is not a fine aged cheese but the USB-XIII Digital Interface. This little box is intended to be used, not seenthere are multiple connectors on its front and rear panels. What Playback calls the front has an Aux sub-D connector for future use, an LED to indicate signal Lock, a USB-B input/output, a jack for the external DC power supply (provided), a tricolor LED (Normal, Programming, Error), four mini toggle switches for configuring the operational modes, an input toggle, and a reset switch. At the other end are a PLink input and these outputs: AES/DoP (XLR), coax/DoP (RCA), and three PLinks. 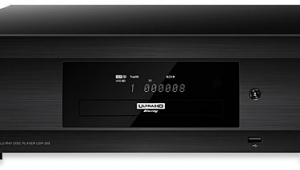 The USB-XIII can be configured to work with earlier and current Playback devices, as well as with components from other manufacturers. 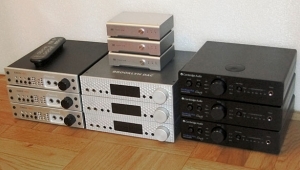 The setup routine is described on p.10 of the USB-XIII's manual: USB from Syrah to USB-XIII, PLink from USB-XIII to each Merlot, and RCA-terminated interconnectsI used Kubala-Sosna Anticipationsfrom the Merlots to my Parasound Halo P 7 preamplifier. That's a lot of wire, but it was easy-peasy. I launched the Playback Designs app on my iPad and it found the Syrah. The Syrah has a 2TB internal drive, which might suffice if your library is small and/or consists only of two-channel recordings at CD resolution (16/44.1). Using the now-familiar JRiver-based user interface, I pointed the Syrah to the more than 20TB worth of files on my NAS; it loaded them to its library in less than an hour. The Playback setup was flawless, save for my reservations concerning what I considered to be a somewhat dated user interface. 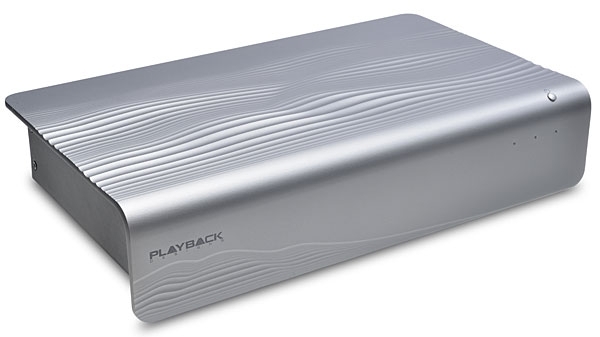 The Playback Designs system responded to commands and accessed files with remarkable swiftness, and played every multichannel format and resolution I had, up to DSD256 and PCM 24/352.8. The sound was transparent and unrestrained. It was fascinating to listen to my favorite tracks and find that they sounded fresh and new. It was particularly pleasing to appreciate extremely deep, detailed soundstages and very articulate bassperformance aspects that suited all recordings and genres of music. The ease of setup and use are welcome aspects of the Syrah's design, but I'm more comfortable with keyboard and mouse, and the large screen of my Baetis Prodigy X music server. There are two ways to use the Baetis with the Playbacks. First, I used JRiver on the Baetis to send music to the Syrah via my LANeverything, including the sound, was just the same as when I controlled the Syrah directly. It was also very cool that I could put the SyrahUSB XIIIMerlot stack anywhere in my network. The only downside to this arrangement was that JRiver bypasses its own DSP engine when accessing networked devices; therefore, EQ and bass management are not possible. Footnote 1: Steven Plaskin's detailed, illustrated review of the Syrah and Merlot can be read in AudioStream. Footnote 2: Playback Designs LLC, Alamo, CA 94507. Tel: (925) 820-4780. Web: www.playbackdesigns.com. "System noise competes with the resolution of low-level detail ... 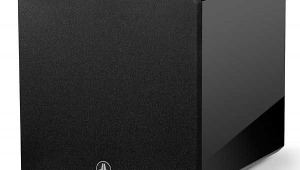 I love what the Niagara 5000s and 1000 and the rest of the AudioQuest kit have done for the sound of my system... the real pleasure of the Niagara 5000, et al, has been in the sound—and that I didn't expect." I don't exactly know how to say this without sounding impolite, so I'll just say it. Exactly how many decades has it taken you as a Stereophile reviewer to finally realize that lowering system noise improves the sound? By the way, I've heard of a new product called Discwasher that improves the sound of your LPs by cleaning off dust...and I've heard rumors of something called "digital" sound coming in the future...who knows what that might be. Probably just some new gimmick. But I know I can depend on Stereophile reviewers to get it figured out quickly and report on it. Not so fast. I have long known that system noise competes with low level resolution from my own lab days wrestling with low level signals (having nothing to do with audio) as well as from my decades of audio experience. What I did not expect was that this new setup with the Niagara 5000 et al. would would provide such a clear demonstration of it in what was already a very quiet system. But, in response to your last paragraph, I do hope that I can still learn something new every day. "...the ability of recent Mac operating systems to create a virtual multichannel USB output from three individual USB DACs..."
The Mac operating system (OS X) has been able to create virtual multichannel audio devices (called Aggregate Devices) for at least the last 15 years. The availability of the Aggregate Device feature helped when the Intel-chipped Macs were introduced over 10 years ago, because the built-in Intel audio appeared as separate inputs and outputs, and had to be "aggregated" for compatibility with certain audio software applications. This feature does come in handy when combining multiple audio devices for multichannel (> 2), but for robust operation clock sync is required, as was noted in the article. Thanks. I was unaware of when Apple implemented the Aggregate Device feature since my experience with Macs is very limited. It is certainly a neat capability. Did JA do any measurements on the Playback Designs stuff? In this case as in most others, he does not do measurements on products covered in columns although he reserves the option to do so. The 5000 is really making a name for itself. I have nor read a bad review of it. Way to go Audioquest!